Jennifer Merchant was quite the jewelry diva when she was little growing up. 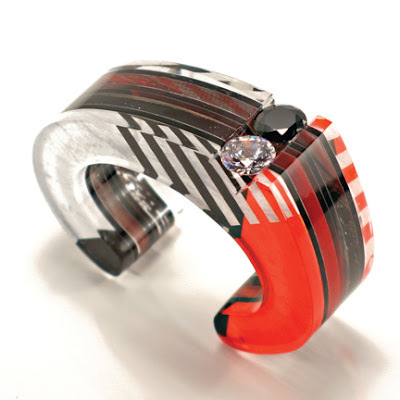 She retained her love of bold designs till she grew up. She studied Metals and Jewelry at the Savannah College of Art and Design. Now a full time artisan working out of her studio in Uptown Minneapolis, Jennifer creates innovative layered acrylic jewelry. The contemporary designs were partly inspired by art deco. 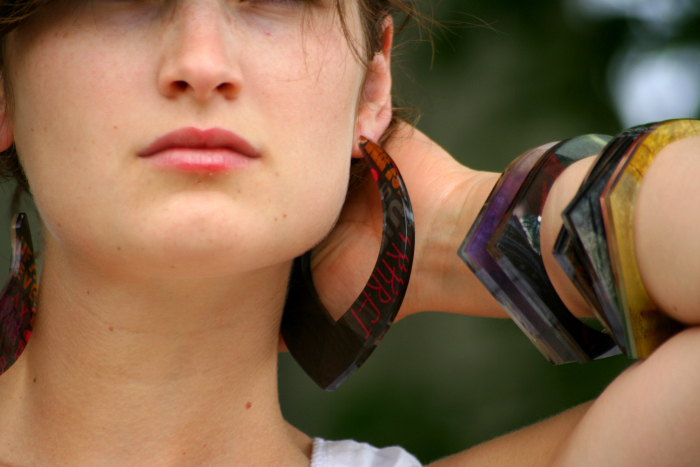 She explains, "The process behind layered acrylic jewelry is of my own invention. I scour art and fashion magazines for intriguing imagery, rip out pages I like and sandwich them between layers of acrylic sheet. 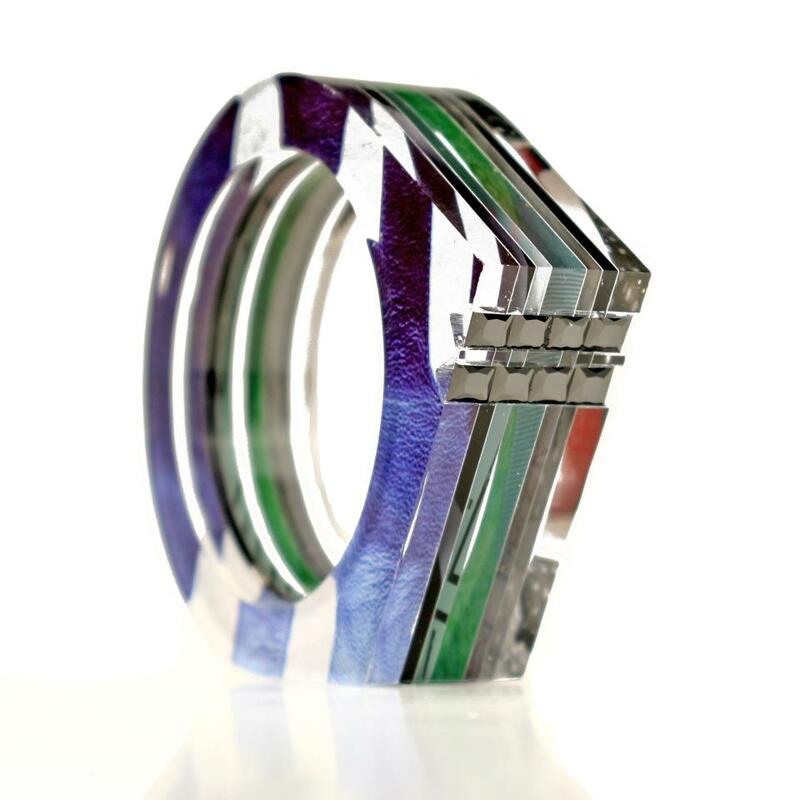 Imagery is carefully aligned with the jewelry forms to produce dynamic compositions. I use graphic patterns and colors to draw interest from one angle of view, while pieces are completely transparent from another. 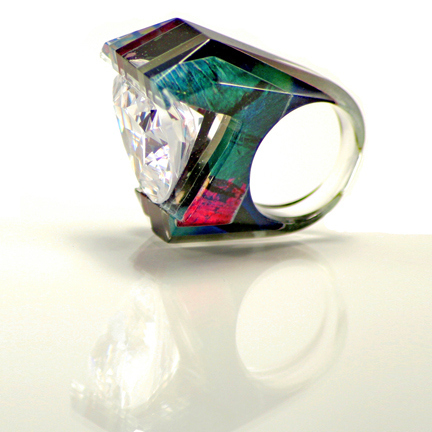 I sculpt each form into a wearable work of art, transforming acrylic and paper into gorgeous pieces of jewelry." The process is certainly labor intensive and requires a clear vision of final designs. 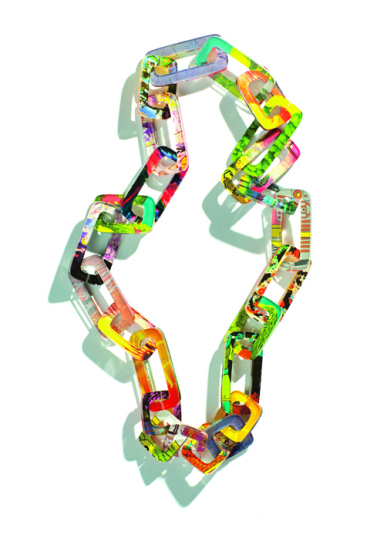 Check out Jennifer's blog post on Behind the Scenes : The Making of a Layered Acrylic Chain Link Necklace where she shares how she makes her novel designs. Many of her striking bangles and rings are completed with crystals, sometimes offset. 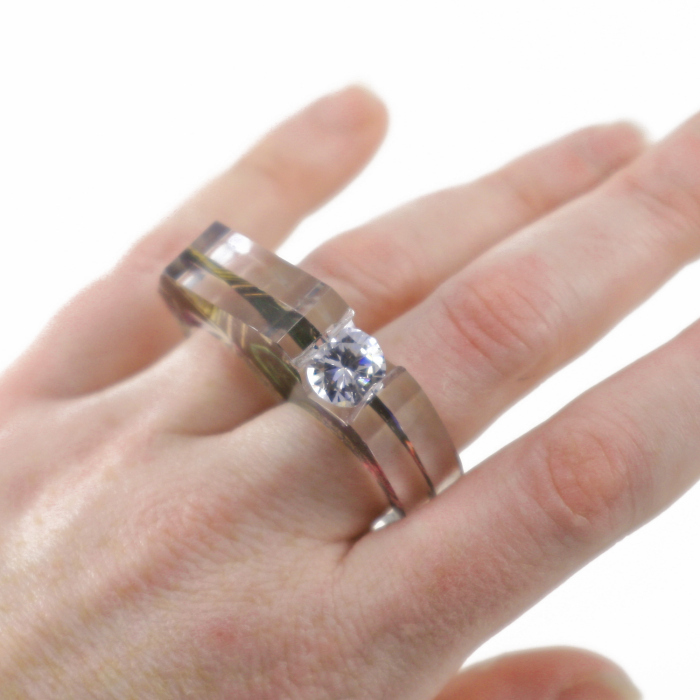 2 and 3- ring sets are definitely in these days. All unique and most fashion forward! 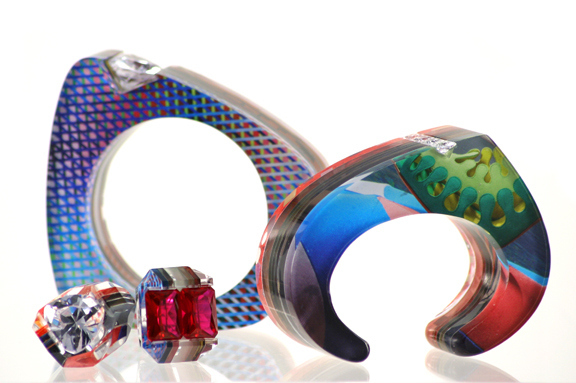 Body jewelry is fashion style. Love this, very inspiring for working with acrylic!